Audi has been testing quite a lot of cars at the Nürburgring track this year, including the TT coupe and its beefed-up iterations, the TTS and the TT-RS. 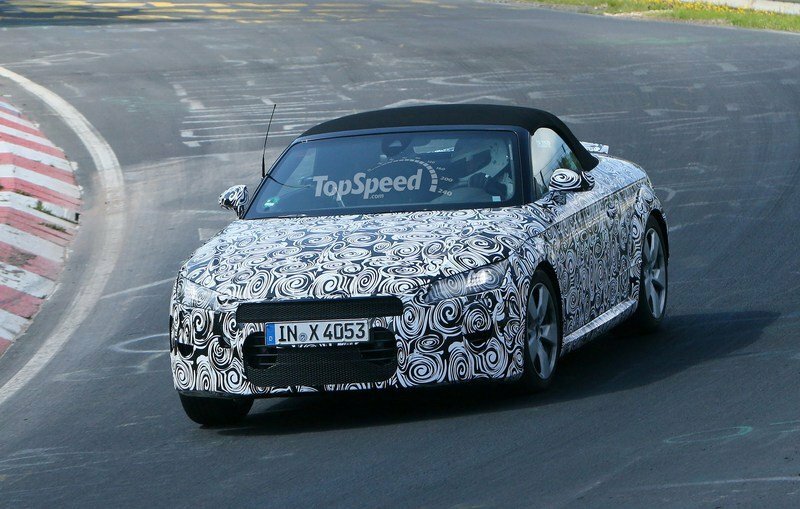 Only the TT Roadster has been missing from the pack, but that ends now as the Germans have begun hooning the drop-top around the "Green Hell" as well. And we have solid proof thanks to our skilled paparazzi, who sent yet another batch of spy shots our way. 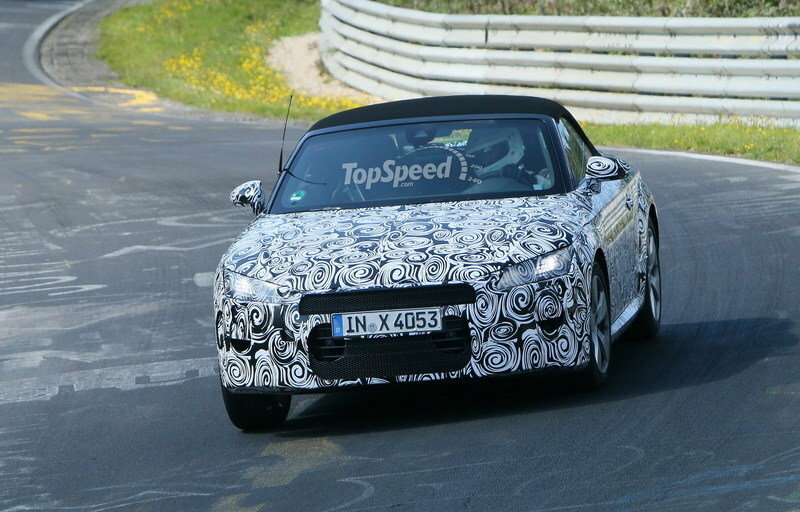 The bad news is the TT Roadster is hidden underneath a thick layer of swirly camouflage, but at least now we know the vehicle’s development has reached the chassis and engine tuning stage. Although the third-generation TT coupe was revealed earlier in 2014 and it’s already on sale in Europe, it will take a while longer until the Roadster breaks cover and reaches dealerships. It will likely debut in early 2015, but don’t expect to see it in North America before 2016, when the coupe version is set to cross the Pond. Be that as it may, we’re anxious to see that the fourth member of the TT family is already stretching its legs on the ’Ring. 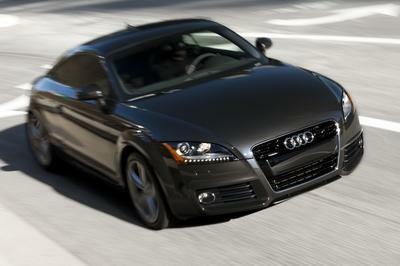 Click past the jump to read more about the 2016 Audi TT Roadster. Even though the compact convertible is still under wraps, its design is far from being a mystery. The TT Roadster will borrow everything already seen on the coupe version, save for the metal roof, which, in this case, will be replaced by a fabric top. 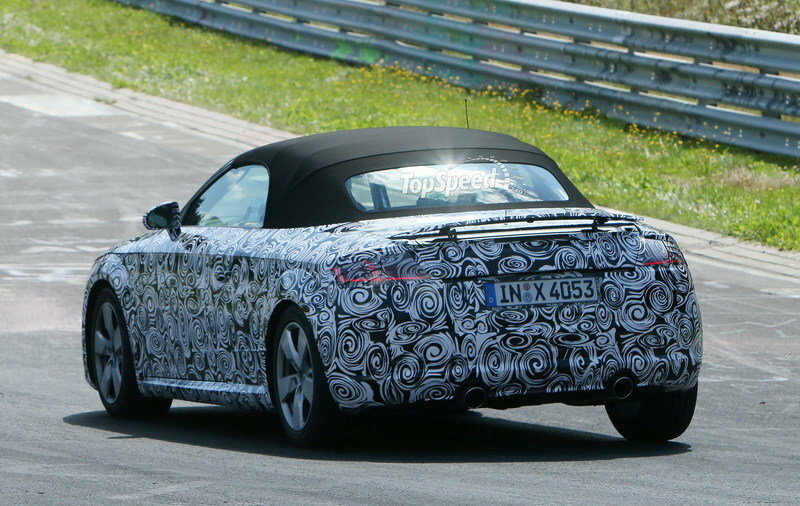 The spy shots also suggest the Roadster will come with a shorter roofline and a slightly different trunk lid. 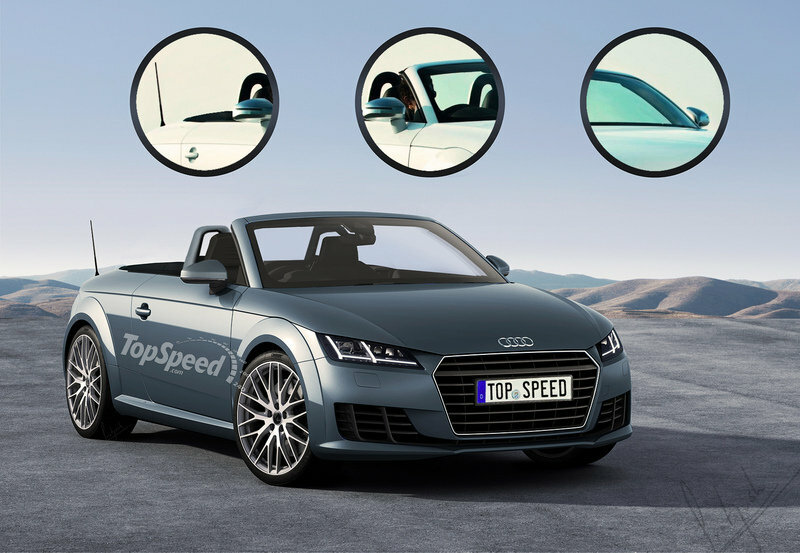 Other than that, the drop-top in the photos above appears to be a standard TT model fitted with optional LED headlamps and 17-inch wheels. 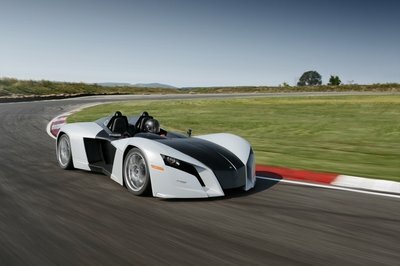 Naturally, the Roadster will be sold with the same engines offered in the Coupe. The range will start with the 2.0-liter diesel rated at 184 horsepower and 280 pound-feet of torque, while the familiar 2.0-liter TFSI will come in two different flavors. 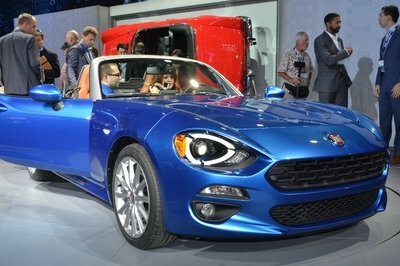 The mid-range option will generate 230 ponies and 273 pound-feet, while the top-of-the-league unit will deliver 310 horses and 280 pound-feet. Customers will get a choice of two transmissions, including a six-speed manual and a six-speed S tronic. The TT Roadster’s presence on the Nürburgring track means Audi is getting closer to unveiling its entire lineup of TT-badged vehicles. 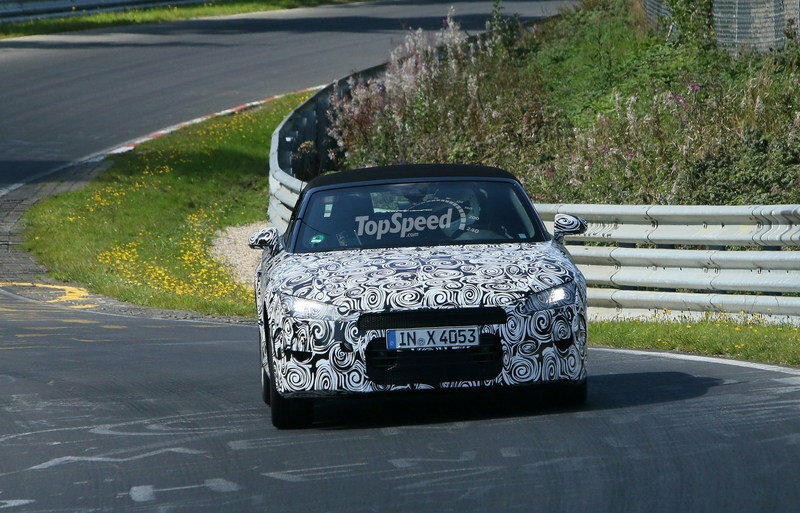 We already know the TTS and the TT-RS are being tested for a few months, and the Roadster has finally joined the fun. 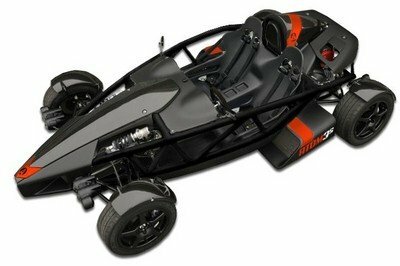 Of course, we won’t get to see it in the U.S. for at least a year, but the Roadster’s official unveiling is only months away.